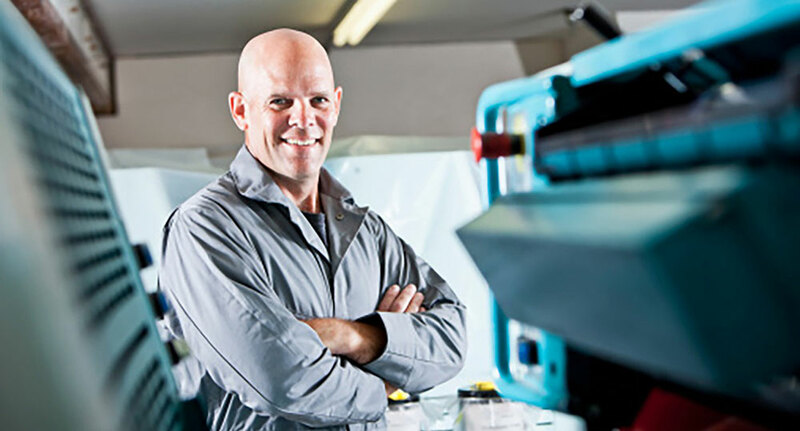 Moore DM Group brings state-of-the-art equipment and a commitment to both service and quality – and we bring a wealth of experience to all aspects of job production. We understand the technical requirements of various papers, inks, and processes. We also know how to get the best from our equipment to ensure that you receive the quality you expect at a cost you can afford. Moore DM Group is equipped with three EPSON digital proofing systems that provide full color high resolution proofs along with full color low resolution production proofs for your approval. Our state-of-the-art pre-press department is equipped with SCREEN Technology “direct-to-plate” output equipment with full automation, providing the maximum clarity and crispness to your finished product. Our press department is equipped with two full-size 6-color Heidelberg sheet-fed presses with coaters and an 8-color Sanden web press with interstation UV and Peretta ink console system for color consistency. Additional printing equipment includes a 14 X 20 2-color Heidelberg and a 2-color Halm Jet envelope press. The bindery department is set up with multiple folders ranging from 23-30 inch width capacities, with a variety of additional capabilities including inkjet, inplate glue technology, scoring, perfing, and gate folding. A Muller Martini saddle stitcher with 6 pockets plus a cover feeder ensures that your multi-page item booklet, magazine, calendar, etc. – will be stitched and trimmed with precision. The bindery department is also equipped to round corner, drill, or shrink-wrap your finished piece. Whether sending out a product order, purchase receipt, supporter contact letter, pledge collection letter, or gift receipt, our dedicated team of professionals provides the assurance that your fulfillment item will drop on time, every time.